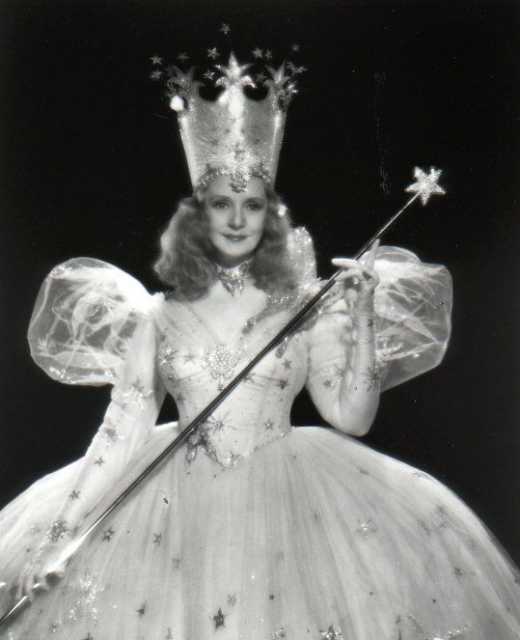 Reviews in German: "Over the last half century or so, the story of Dorothy and her friends on the Yellow Brick Road to the Emerald City has stamped itself indelibly on the national psyche, thanks to the 1939 film version of The Wizard of Oz. It is, perhaps, the closest thing we have today to a universal fairy tale. Stand outside when a strong wind kicks up and someone is likely to yell out, "Auntie Em! Auntie Em!" The theme music for Miss Gulch's demonic bicycle ride or the march of the Wicked Witch's palace guards come easily to everyone's lips. A scary situation will often be faced with someone saying, "Lions and tigers and bears, oh my!" And the phrase "I have a feeling we're not in Kansas anymore," has become part of everyday parlance and even literary reference as an expression of the strange and wonderful encounters in life. It has been remade, sequeled, prequeled, spoofed, and referenced in dozens of movies, television shows, books (Wicked by Gregory Maguire [Harper Collins, 1996] tells the story from the witch's point of view), and music (notably Elton John's 1973 release Goodbye Yellow Brick Road), but none have had the imaginative power or lasting imprint of the original. 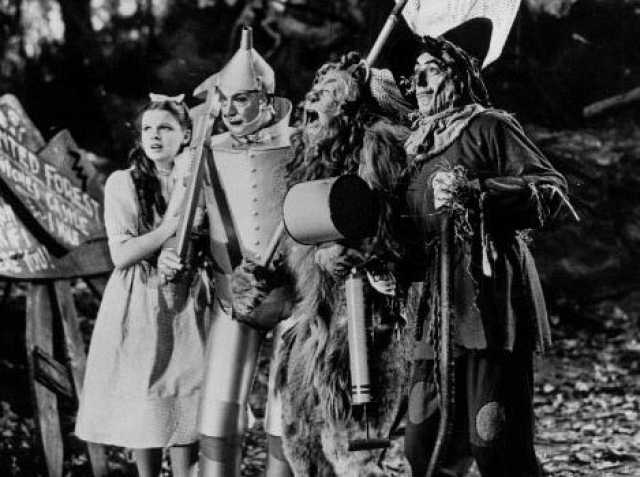 All of this was doubtless unforeseen by L. Frank Baum when he wrote The Wonderful Wizard of Oz (1900), the first of his 16 successful books employing the characters and setting of the fantasy land beyond the rainbow. Baum was a devoted family man and dreamer who had little success at his various vocations � store owner, stamp collector, newspaper publisher and actor. His lack of business sense brought just about every venture to ruin, and he filed for bankruptcy only a year before the first Oz book appeared. In writing children's fantasies, he at last found his calling. The film's producer, Metro-Goldwyn-Mayer, probably had no clue to its eventual impact, either, although no expense was spared in bringing the story to the screen. Two early silent versions were made in 1910 and 1924, neither of which were particularly successful, and the 1939 version initially lost money, roughly a million dollars on its first release � it was expensive to make, there was not a huge market for children'' movies, and the onset of World War II dried up foreign markets for Hollywood product. It took more than a decade for the movie to go into the black, thanks largely to repeated showings on television beginning in the 1950s and video sales years later. The making of the The Wizard of Oz wasn't exactly smooth sailing. 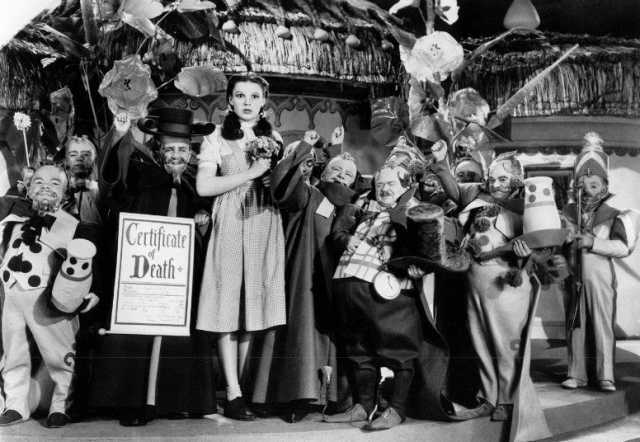 Although the characters of Dorothy and her friends have become forever linked with the actors who created the roles, particularly Judy Garland, the film might have looked very different if original casting plans had been followed. W.C. Fields was the first choice to play the Wizard, but a disagreement between the studio and the notoriously difficult comic actor squelched that deal. Character actress Gale Sondergaard, memorable that same year as the Empress Eugenie in Juarez, was tested for the Wicked Witch. Sondergaard was an accomplished actress (whose career was halted for 20 years thanks to the Hollywood Blacklist), but her exotic beauty was bypassed in favor of Margaret Hamilton's more traditionally "witchy" look. 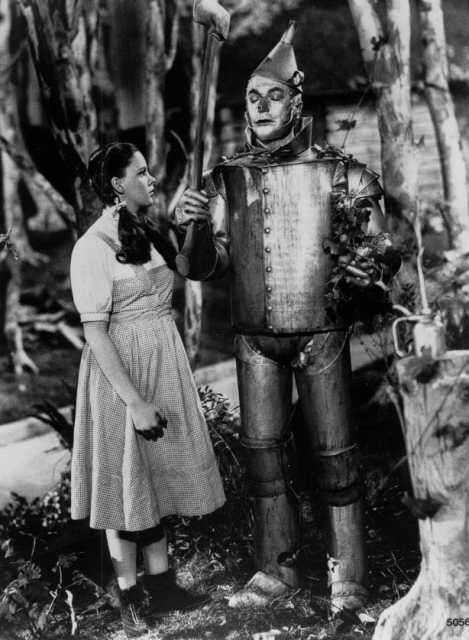 Buddy Ebsen, best known today as Jed Clampett from TV's The Beverly Hillbillies began shooting as the Tin Man, but he was hospitalized with a near-fatal reaction to the silver paint used for the character's make-up and was replaced by Jack Haley (father of producer Jack Haley, Jr., who was once married to Garland's daughter Liza Minnelli). And, of course, there was the central character herself, a part some sources say MGM head Louis B. Mayer was desperate to give reigning child star Shirley Temple, then under contract to Fox. With Temple unavailable, MGM contract player Judy Garland was brought in to the role that made her a star, won her a special juvenile-performer Oscar, and became an integral part of her legend. 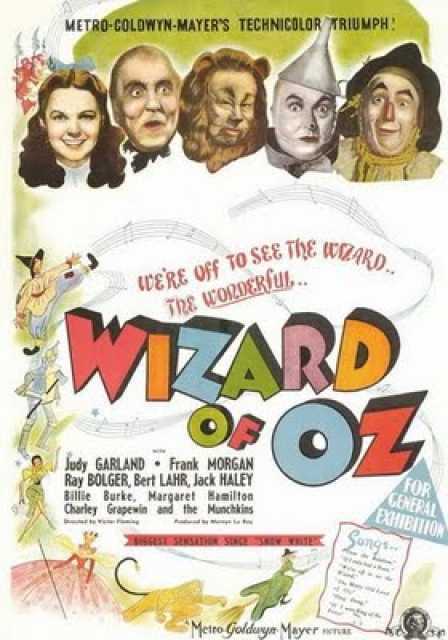 The memorable Harold Arlen/E.Y Harburg tune "Over the Rainbow" (which was almost cut from the picture) became Garland's theme and a song that has attained cult status in American music.